If Christmas is a special holiday in your house, as it is in mine, here’s to a great day with family and friends. It’s a charity in the legal sense, but we don’t think of it that way. The gifts and talents of the people we join forces with are plentiful. We simply encourage with resources. In this particular case in Soddo, Ethiopia, we’re financing a building project so they can become a self-sustained Village using their own resources, inside their own culture. If you are searching and are so led, I’d love to have you join my Joseph Alliance team, or our Brewers Community Foundation this Holiday season. The need is overwhelming. I try not to get caught up in the numbers. It’s not up to us to “fix” everything. I call it the “pick and roll.” Just “pick” a need and let it “roll,” wherever that may be. The Brewers can win the World Series. I know, I know, it’s December and a lot has to go right during the course of a long season to even make the playoffs. But, there is no question, the 2011 Milwaukee Brewers have the “bones” of an actual finish-line-championship team. 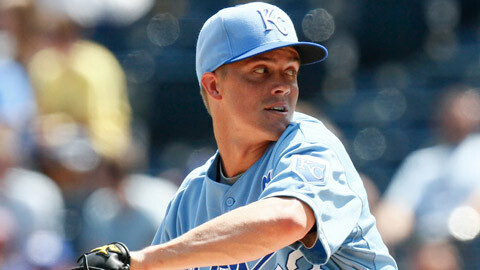 Zack Greinke is a game changer. He immediately goes to the top of Milwaukee’s rotation giving all subsequent slots an advantage on every other rotation match-up outside the Phillies. The offensive weapons are in place and will arrive to the ballpark each day burden-free, knowing they don’t need to score six runs to have a chance to win. In Greinke, Yovani Gallardo, and Shaun Marcum, you have three pitchers who were all Opening Day starters and aces of their respective staff’s last season. The current starting rotation of Greinke (10-14, 4.17 ERA), Gallardo (14-7, 3.84), Marcum (13-8, 3.64), Randy Wolf (13-12, 4.17), and Chris Narveson (12-9, 4.99) is perhaps…take a breath…on paper…THE BEST ROTATION EVER ASSEMBLED IN 41 YEARS OF BREWERS BASEBALL. Only time will give us proper perspective on the impact of the deal. There are plenty of reasons for both the Brewers and the Royals to be excited. But, it’s not all roses. Greinke and Yuniesky Betancourt don’t come to Milwaukee without strings. Honestly, every player in the six-man deal between the Brewers and Royals has red flags. That’s why trades are made. 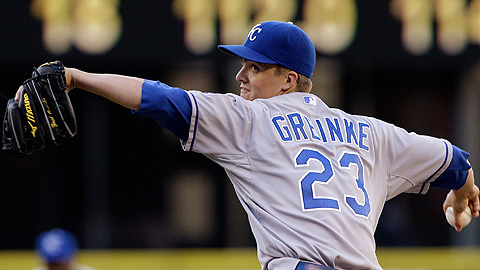 Greinke has impressively managed an anxiety disorder. It still remains a concern for a man who performs his craft in the public eye, however. He also forced his way out of Kansas City in the middle of a long-term contract. He has two years remaining. Betancourt arrives with concerns about his focus defensively, which explains how a shortstop with a plus-arm, plus-glove, and plus-range can be labeled “average” at his position. That scouting report is similar to Alcides Escobar’s rookie label. The Royals hope Escobar is a cornerstone piece and that he and Lorenzo Cain will hit enough to keep their potential gold gloves on the field. Who knows if Jeremy Jeffress has turned the corner on substance abuse (I believe he has) and that he and Jake Odorizzi will rise to their scouting report. Of the four, for me, Jeffress could be the sleeper for the Royals. Either way, it was a trade that had to be made. In a span of three December weeks, two trades were made that re-shaped a franchise. If you subscribe to the “bird in hand is worth two in the bush” theory, then the Crew made out well. Three established big leaguers, including a bona fide ace, for five prospects. If things do not go well, an opportunity still exists to trade an impact pitcher (Greinke) and an impact hitter (Fielder) and replenish the farm system to start over. That’s the bet-hedger. The Brewers still need bench help. Infield defense is a concern. There are some bullpen questions (LaTroy Hawkins’ repaired right shoulder is a key). But, those are good problems, fixable problems. This is a team with two aces, great depth on the mound, a gutsy, young, power- closer already in place in John Axford. They boast a lineup with power, speed and youth. Put all of that together with the best fans in baseball and a college football atmosphere, we could have some kind of fun this summer. Six weeks ’til pitchers and catchers report. Can’t wait!